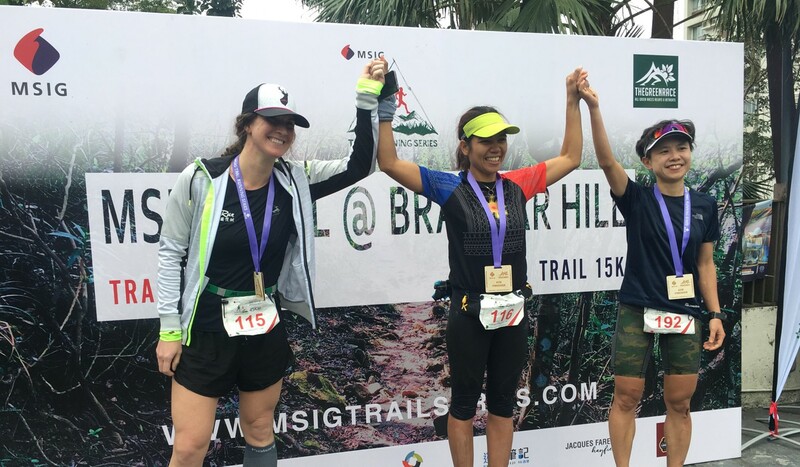 Fredelyn Alberto overcame navigation issues and a serious knee injury to win the MSIG Braemar Hill 45km race – hosted by Green Race – with a time of 6 hours 1 minute and 48 seconds. “It was like a battle inside my head, and in my body. I had to ignore the pain and keep thinking positive thoughts, and I couldn’t stop or else I knew I couldn’t start running again,” said Alberto, who first suffered the injury at the beginning of last year. The official diagnosis was “soft tissue tear”, but unfortunately it kept getting worse. “After I first [suffered the injury] I had races week after week,” said the 30-year-old – now one of Hong Kong’s top female trail runners. Unfortunately, the injury kept getting worse until finally, after winning the Trails of Fire race in Tai Mo Shan, she had to go to the hospital. She would love to get the corrective surgery needed to fix the injury for good, but her love of the sport – combined witha domestic helper’s salary – are preventing her from doing so. If she keeps running this fast, however, her plan to take it easy next year may have be put on hold. 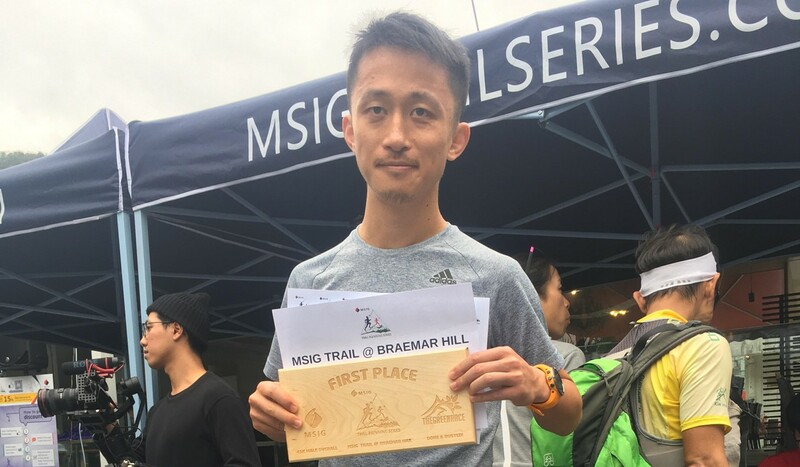 The Braemar Hill race was the first of the four-race MSIG Trail series. The men’s and women’s overall winners will get to run the 4 Deserts Race Series – a four-course ultra marathon that takes place all over the world. Meanwhile, Bin Lang won the men’s edition on Saturday with a time of 05:08:29. Sign tampering caused Lang to get lost “at least three times.” Someone had moved the ribbons at the first point causing Lang and all of the initial runners to go in circles, and towards the end one of the arrow signs was pointing down a slope when it was meant to be pointing up. “It was our first time doing this race and it’s Hong Kong Island, of course people were going to tamper with the signs,” explained Green Race director Martin Cai. Runners had to use their GPS watches to get back on track and, with how hotly contested the finish was, navigation was every bit as important as speed. Ho Yin Yeun finished second with a time of 05:18:08, and Nick Hodges was third with a time of 05:21:11. Fourth place finisher Ingo Wende arrived just 38 seconds later. For the women, Emily Laura Surgeon finished second with 06:28:02, and Stephanie Leung finished third in 06:42:41.